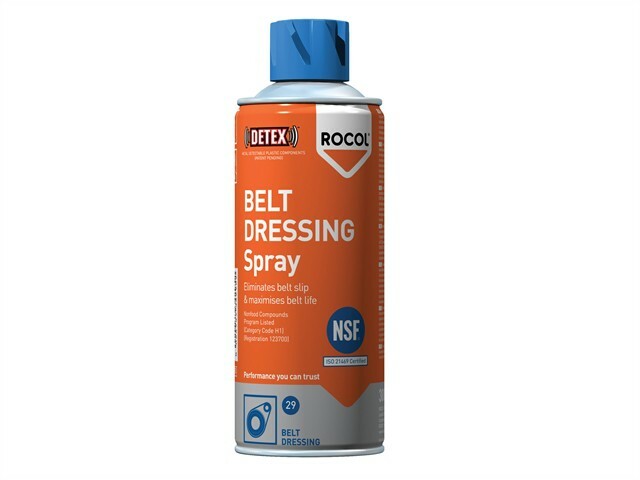 ROCOL BELT DRESSING Spray is specially formulated to condition and lubricate drive belts. Suitable for use on all types of drive and conveyor belts. Conditions drive and conveyor belts whilst preventing glazing and cracking, and reducing slipping. Temperature range: +50° C to +100ºC.